and sharing models easier than ever. 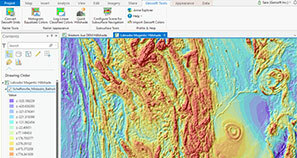 The Geosoft Viewer is a new free, easy-to-use application that enables anyone to open, visualize, and integrate a variety of Geosoft formats and other geospatial data types. 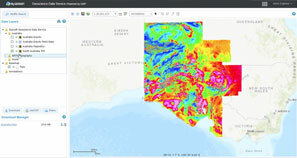 A new web interface for you to connect to Geosoft's Public DAP Server and search for global geoscience datasets by keyword or location. 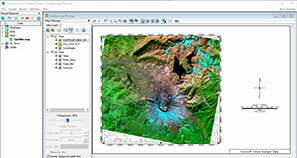 Geosoft is pleased to announce a new free add-in for Esri's newest desktop software, ArcGIS Pro. You can use the add-in to import and display Geosoft grids (raster files) within ArcGIS Pro. 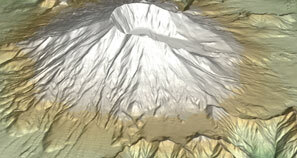 Reveal more detail in your 3D relief surfaces and models. You can regrid a voxel to change its cell size or to match the resolution of an existing coincident voxel. 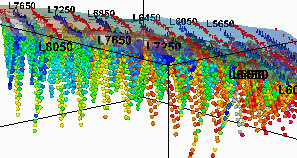 Many new IP 3D array plotting options and the ability to quickly identify which electrodes produced the current IP reading. 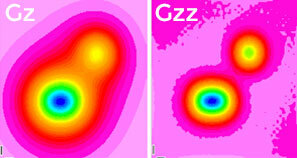 Perform structural and density inversions in GM-SYS 3D by using the Gzz component of gravity. Use the new winnowing (desampling) feature to eliminate redundant IP and Resistivity data.